The inventory of homes for sale in Tallahassee continues to fall, so we are closely monitoring the listings that enter the market each day. Here are the most recent "just listed" homes for sale, check them out before they are gone! 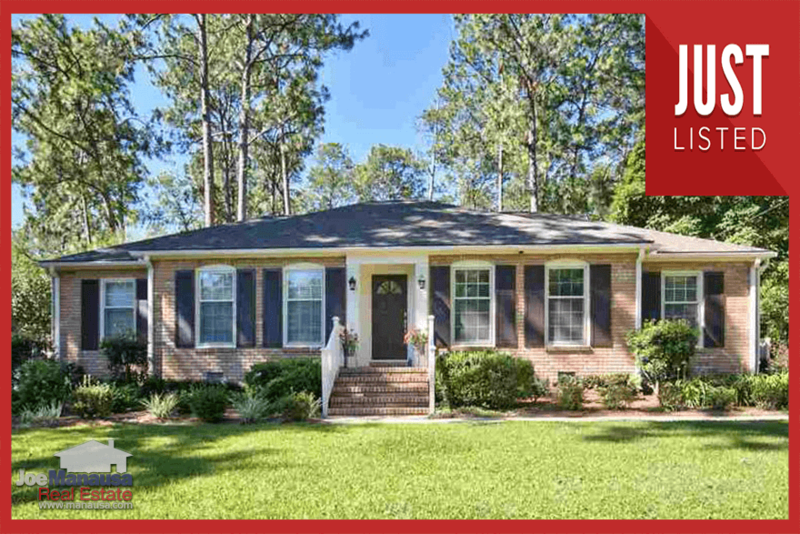 It's rare that we see much more than ten new listings on any given day, so 22 is excellent for the Tallahassee MLS. In case you didn't know, you can actually monitor all just listed homes here, and it is updated 96 times per day. As homes are no longer new and as homes get sold, we pull them off the page so that you are only looking at new listings that are actually available. Some websites show a "new" listing whether it is really available or not, and we hear from our happy buyers that it is their number one pet peeve against property search tools. They want timely and accurate information on listings in Tallahassee, not just a bunch of links to houses that might or might not be for sale. So that is what we provide. As a default, we eliminate all houses on the market that are "pending" sale, under contract, have a contingent contract, or have a first right of refusal contract against the home. This way, everything that shows up in your property search results is available (and remember, it is updated every 15 minutes, so you have the confidence in knowing you are looking at the best list of homes for sale in Tallahassee. Of course, we give our users the option to override the default settings and look at all homes on the market (including those that are under contract). If you select our advanced property search (find it here) and scroll to the very bottom, you will see a selection box allowing you to choose "Active, Under Contract or All." This should satisfy all of your home search needs. Why not listen to what recent buyers have to say and warn about their experience? Chase Bank did a survey (read about it here) that showed 80% of recent homebuyers wish they had known more about the home buying process before they bought their home. They indicate they would have done things differently and saved money. Many would have purchased different homes. So how do you avoid being part of the 80% of dissatisfied homebuyers? It's easy, work with a well-trained, hard working, highly productive real estate buyers agent. We have employee specialists here at Joe Manausa Real Estate who work in teams to ensure that our buyers are thrilled with their home and the whole process of buying a home. Our specialists will show you how to save money during many stages of the home buying process, and when all the dust settles, you will have the RIGHT home at the RIGHT price. It's no wonder that we have more 5-star reviews than ALL the other agents in Tallahassee COMBINED! How did we earn these testimonials to our first class service? One happy customer at a time! Take a look below at how you will feel when you buy your home with a specialist at Joe Manausa Real Estate.